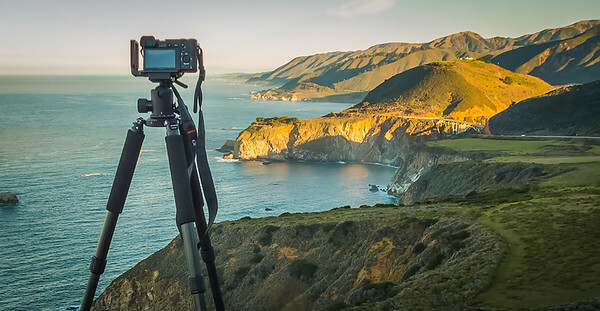 Do you notice how your landscapes and travel photos turn out much better when you use a tripod? Besides the tangible benefits of having a quality tripod like providing stability to my camera and lens, I value the intangible advantages as well. I find that using a tripod slows me down. It makes me think about the position of the tripod and its height. It forces me to assess the composition and its elements before pressing the shutter. As a result, I take fewer shots with a much higher success rate when I use a tripod. I love each of my three tripods. 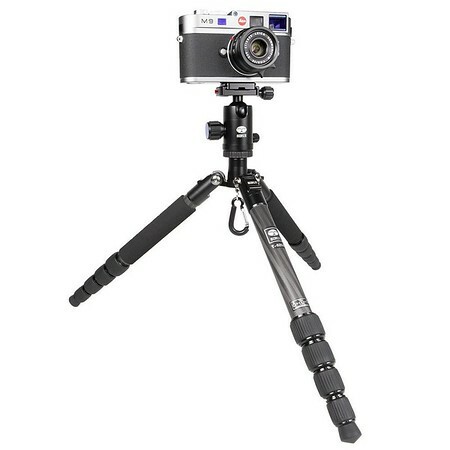 But, at the same time, it is not always easy to select the best tripod for your travels. Why? 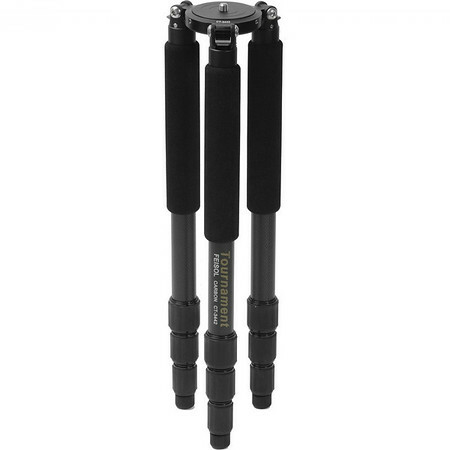 Because there is no such thing as the “best travel tripod.” Sorry, if I just burst your bubble! 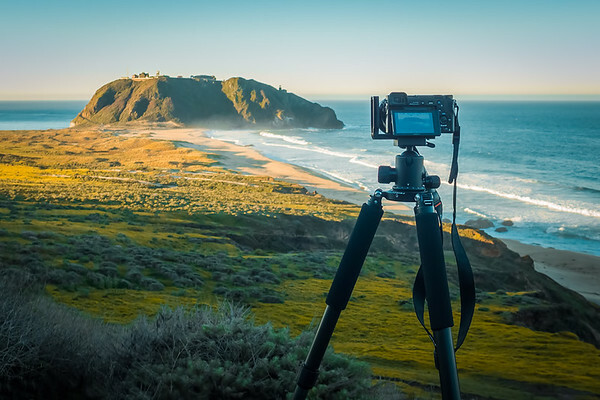 The only way to take advantage of a tripod and to have fun with using it is to find the tripod that best fits the equipment you use, the type of photography you pursue, your travel habits and your personal preferences. Let me tell you from experience—it can be challenging to pick the perfect model from the hundreds of options available. I bought my first tripod—the sturdiest model on the market—based on a recommendation I found in a photography magazine. It was big, heavy as hell and, inevitably, mostly stayed in the trunk of my car because it was too awkward to carry around. Since then, I have learned my lesson. Now, I approach each tripod selection methodically. I have even created my own system to streamline the selection process which, so far, has never failed me. But, before we begin with the questionnaire itself, let’s identify what a travel tripod truly is. 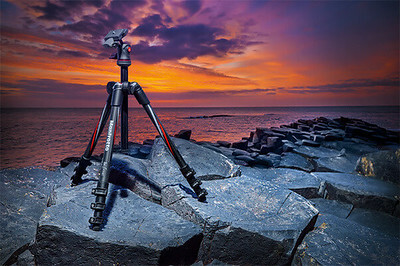 A travel tripod is no different from any other tripod used in photography, but it does have two specific requirements. It needs to be as small and as light as possible without jeopardizing its primary function—to stabilize your camera and lens. What is the minimum height of the perfect tripod for you? 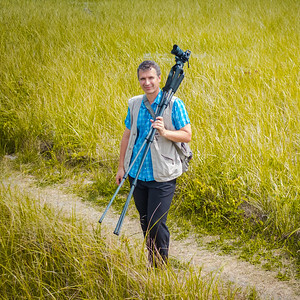 The minimum height of a tripod is determined by how tall a photographer stands. I use an easy calculation by deducting 40 cm (15 in) from a photographer’s height to determine the appropriate minimum height of a tripod. 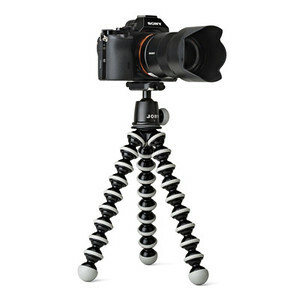 For comfortable shooting, the tripod does not have to measure as tall as a photographer. Instead, it should only be at eye-level, which is approximately 15 cm (6 in) from the top of a person’s head. 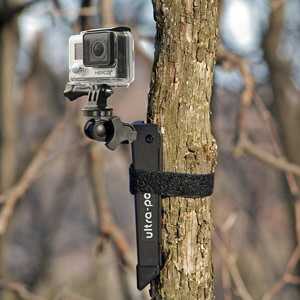 When you attach the ballhead, the quick release and the camera to your tripod, it adds another 20 to 25 cm (8-10 in). 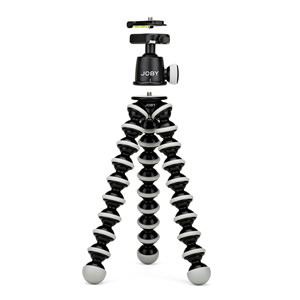 In my case, I am 180 cm (5' 11") tall, so the minimum height for a comfortable tripod should be 140 cm (4'7"). What is the maximum folded length? This is critical. 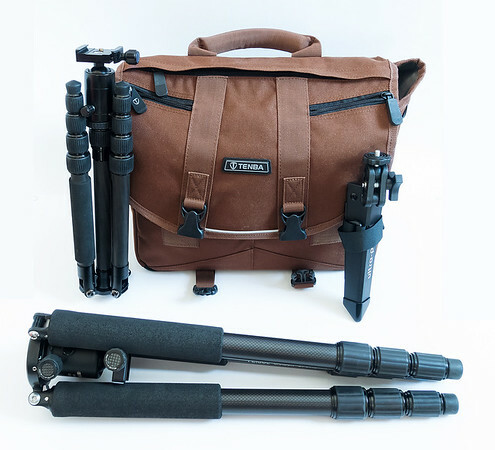 When you travel by air, you want to ensure your tripod fits into a piece of carry-on luggage. 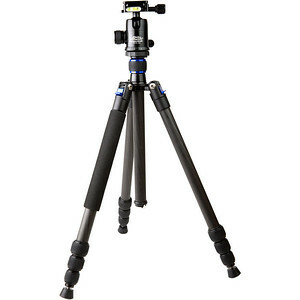 This means that a tripod’s folded length cannot be any longer the 50 cm (20 in). If you are buying your first tripod, this probably isn’t a question you’ll be able to answer right away. But, I can help. It is all about finding the right balance between weight and stability. As I am writing this, the perfect balance for me is between 1.4 and 1.6 kg (3.2 to 3.5 lb). 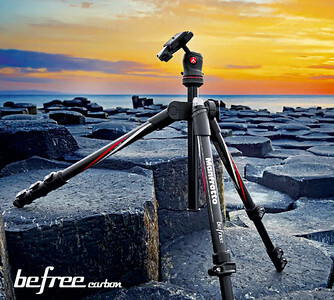 This means that it is possible to find a stable tripod weighing around 1.4 kg (3.2 lb) but, a tripod that is any lighter, sacrifices stability. What material—carbon fiber or aluminum? 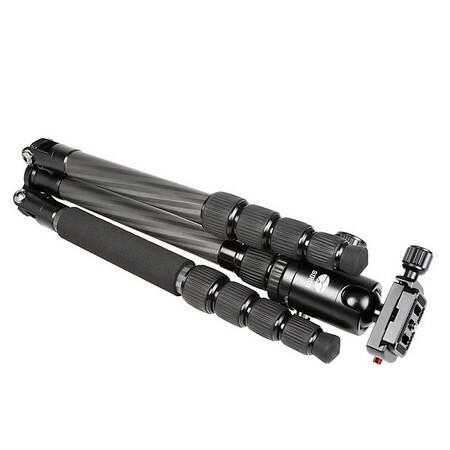 Personally, I do not like aluminum tripods because they are not as durable, dent easily and are prone to vibration. However, they do have one important advantage—they are cheaper. Five years ago, the price of carbon fiber tripods was prohibitive. 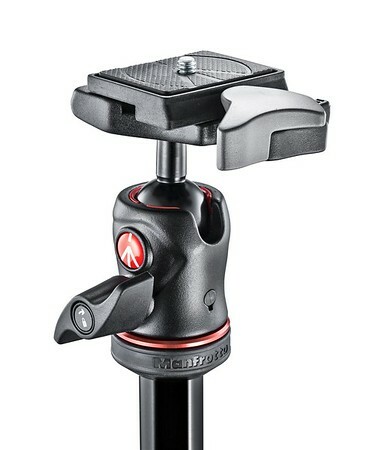 But, in recent years, the price gap has narrowed with even budget tripods now made of carbon fiber. Do you prefer twisted locks or flip locks? This is another personal preference. 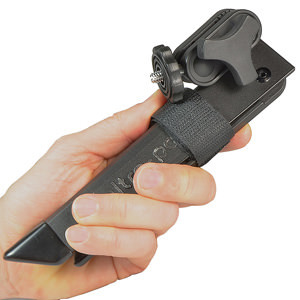 I prefer twisted locks because I find them to be more compact, faster to unfold and extremely quiet. Sometimes, the click of flip locks attracts unwanted attention. But, this is not a deal breaker. 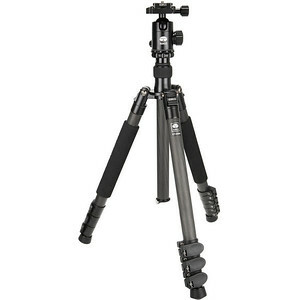 If I found a good tripod model with flip locks, I would still consider it. Do you prefer a center column or no center column? This is a deal-breaker for me. I do not think it makes any sense to invest in an expensive, high quality tripod only to jeopardize its stability by using a center column. If you are a studio photographer, the center column is not an issue. However, if you travel and want to capture a seascape during a storm, a center column is, without a doubt, a no-no. What is the weight of your equipment? Here, you simply add the weight of your camera with the weight of the heaviest lens you own. For example, my Sony a6000 weighs 350 g. The heaviest lens I use is a Sony 70-200mm that weighs 840 g. This means that, even with my biggest lens, I will never have equipment that weighs over 1.2 kg. This is a difficult question for first-time tripod buyers. When you just spent anywhere from $500 to $600 on your first camera and lens, it is tough to justify spending another $300 to $400 on a tripod. This is the reason why most beginners buy cheap, low-quality tripods and only later realize that these flimsy models do more damage than good. That’s when they finally invest in a good, sturdy tripod. I want to help you avoid the same mistake. 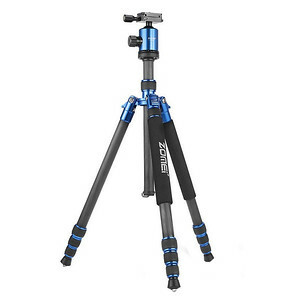 Honestly, it is hard to find a decent, quality tripod under $200. The good news is that many unknown Chinese brands have developed entry-level models that are fairly decent and sturdy. You can find my recommendations below. Now that you’ve completed the questionnaire, visit B&H Photo online. 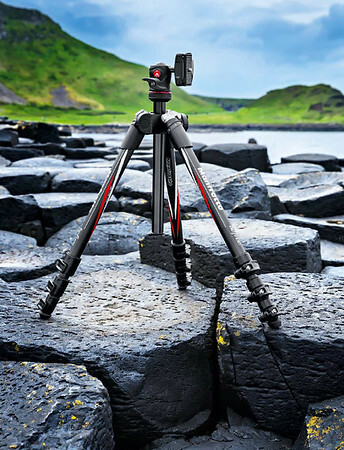 Even if you aren’t planning to buy a tripod from B&H Photo, they have the biggest inventory of tripods available, which will help you identify your perfect travel tripod. Go to the Tripod section of the store and filter the products using the answers from your questionnaire to set the parameters. For example, if I go to the Camera Tripods with Heads section, the total number of tripod models are 650. When I apply all the filters based on my questionnaire, I have seven models that match. If you live in the United States, Amazon is your best choice. 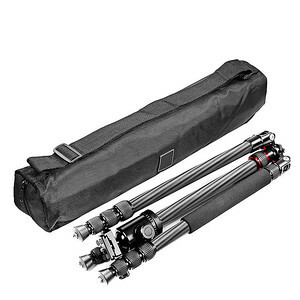 When you have done the proper research and know exactly what you need and want, you can order a tripod from a reputable seller and have it delivered to your door the next day or, in some areas, even on the same day. Amazon has truly changed the way we shop. Living in Canada has its challenges. For example, Amazon’s inventory in Canada is much smaller, which means it is not always possible to find exactly what you need. Plus, prices tend to be higher when buying in $CAN. The best options for Canadians is to buy photography equipment from B&H Photo. They have a wide variety of specialty products and offer competitive prices as well as free shipping to Canada. The only downside is that it takes anywhere between three and four days to receive your order. Because I often travel to the United States, I typically order whatever I need from Amazon US and have it delivered to my hotel. I place my order in advance and, when I arrive at the hotel, the package is waiting for me. 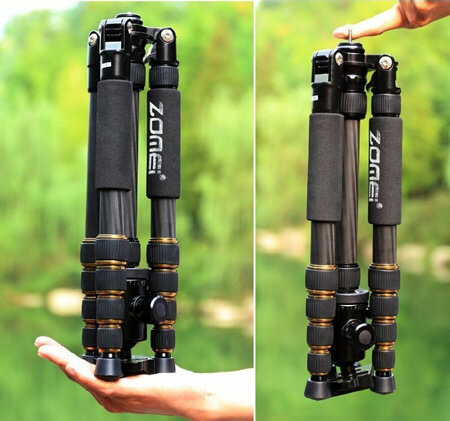 We all know that the most important function of a tripod is to provide stability for our photography equipment. 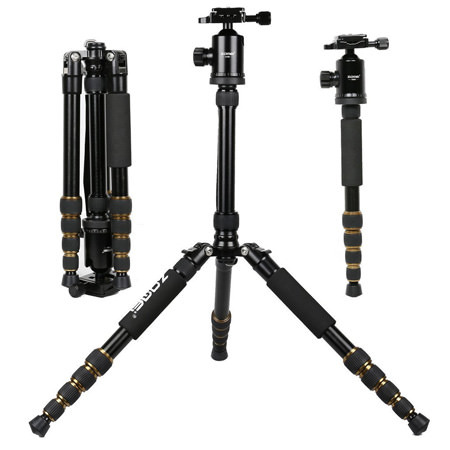 But, stability is not easy to quantify and, consequently, makes it almost impossible to assess the level of stability of any given tripod model before buying. Even after buying, you should run the tripod through different travel photography scenarios to understand exactly how stable it is. While you might typically rely on user reviews with the hopes that they are unbiased and accurate, I have another method that gives me an additional indication about a tripod’s stability. I always take the Load Capacity value under consideration during my research. 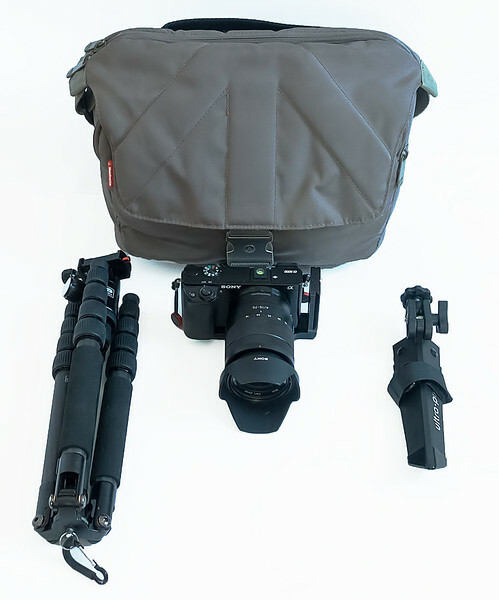 The higher the Load Capacity value, the more stable the tripod is. The Load Capacity was the decisive factor when I purchased my Feisol tripod. 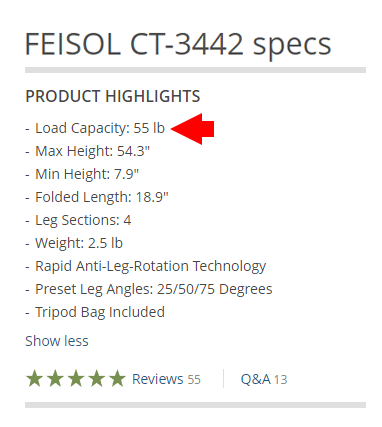 I identified four models that fit my specific criteria—weight, size and price—but Feisol had twice the Load Capacity compared to the three other models. The other models had a 26 lb Load Capacity, which is more than enough for my mirrorless Sony system, but Feisol had a Load Capacity of 55 lb. It seemed like overkill, but this did not translate into a higher price, heavier weight or bulkier size. Feisol CT-3442 Tournament the model I own. 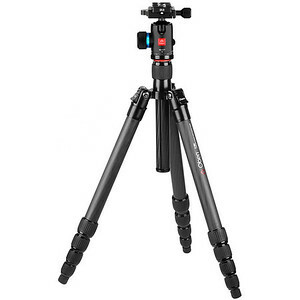 I've had it for 3 yeas and I consider it to be the best full size tripod for my photography. Amid my travels to busy urban destinations like Venice and New York, I realized that it is not always convenient to carry a full-size tripod regardless of how light or compact it is. I needed something exceptionally light and compact enough to fit in my small camera bag but still tall enough to set on the ground. This is when I discovered the Sirui T-025X, which weighs only 2 lb and measures 13 in when folded. It is good enough to support my Sony a6000, my Sony RX1003 or my smartphone. Of course, it does not compete with the stability my full-size Feisol offers but it is good enough to give me an extra option for my urban trips. This is what I consider to be a last resort in tripods. 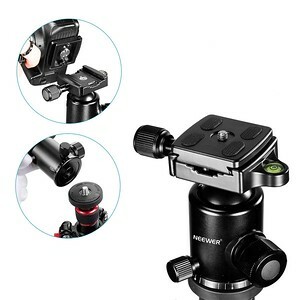 This is an extremely cheap and compact option that is often small enough to put in your pocket or stow in your camera bag as insurance if you can not bring your regular tripod. 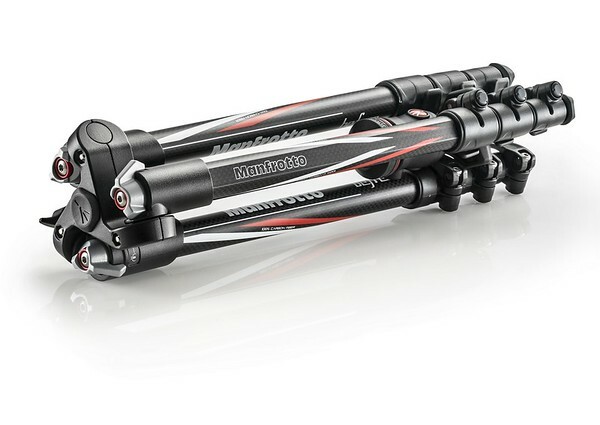 I have limited experience using mini tripods but I can provide two recommendations. 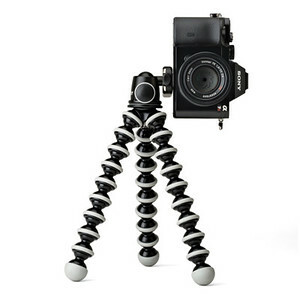 For years, I used the Joby GorillaPod Mini Tripods and liked them a lot. 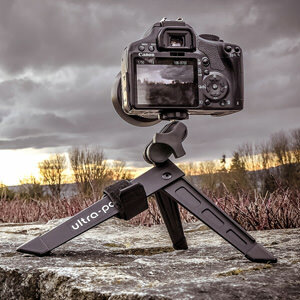 Recently, I discovered an even more compact option called the Pedco UltraPod II Tabletop Tripod, which is what I carry around these days. 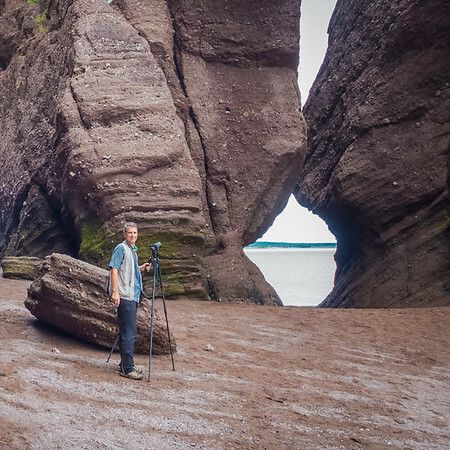 It is hard to overestimate the importance of a tripod for travel photographers. 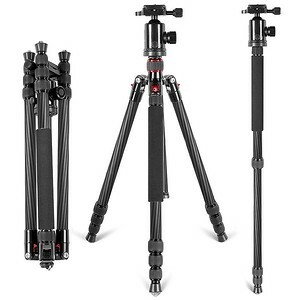 I strongly encourage you to take your time when selecting your first or even your second, third or tenth tripod model. If you purchase a model you hate, it will poison your travel experience and affect both your motivation and creativity as a photographer. 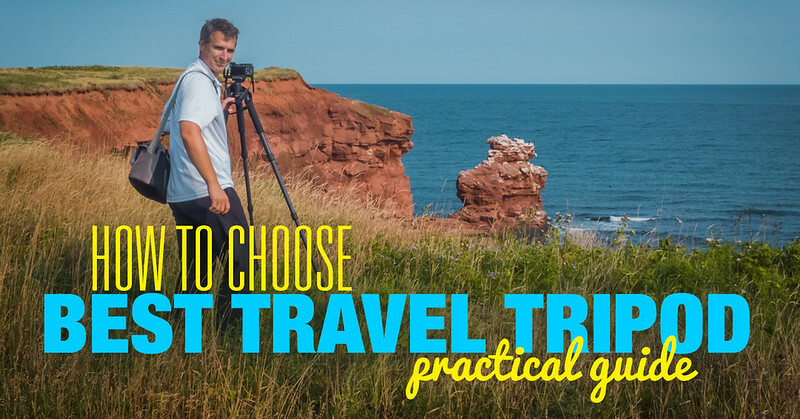 Use my questionnaire as a guide to identify the most important features in your ideal travel tripod. Write down your answers and immediately start eliminating the models that don’t fit your photography and travel styles. Remember—it’s all about finding the right balance between size, weight, stability and price. 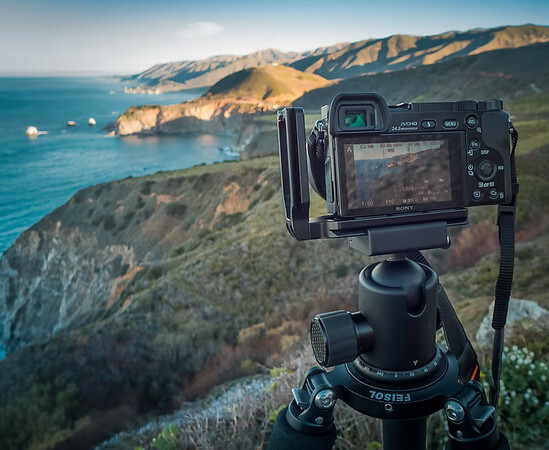 Share your own experience with tripods and your recommendations for the best travel tripod using the comment section below!